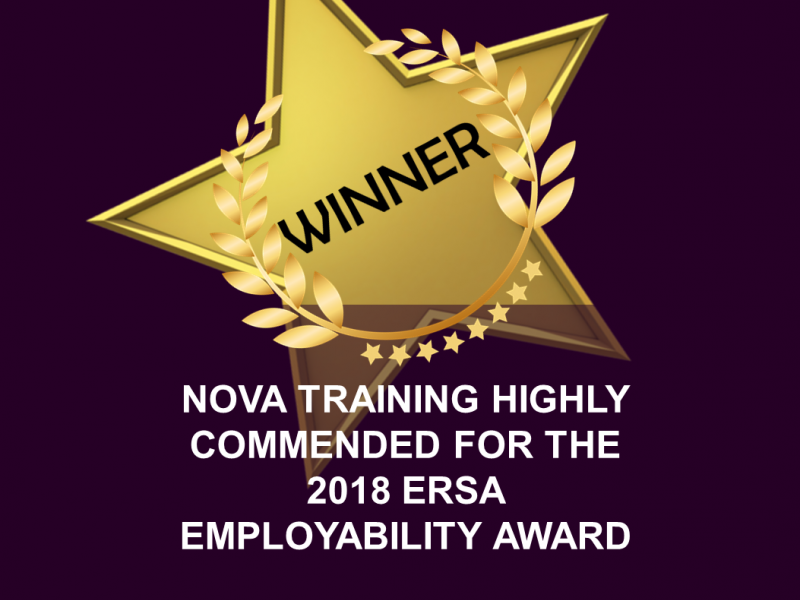 Nova Training has been highly commended for the 2018 ERSA Employability Awards, sponsored by Clarion Futures, in the award category. 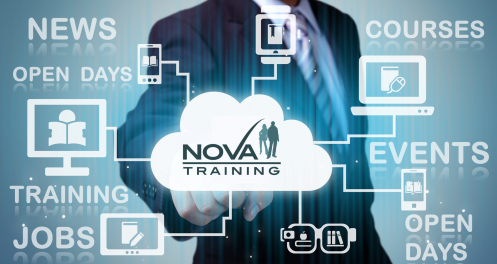 The awards were announced at a special ceremony in London last week hosted by ITV’s Lucrezia Millarini, with the keynote address delivered by the Minister for Employment, Alok Sharma MP. 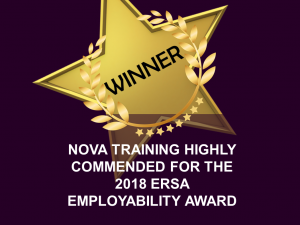 ERSA received nearly 150 entries across ten categories demonstrating the breadth of work in the sector. 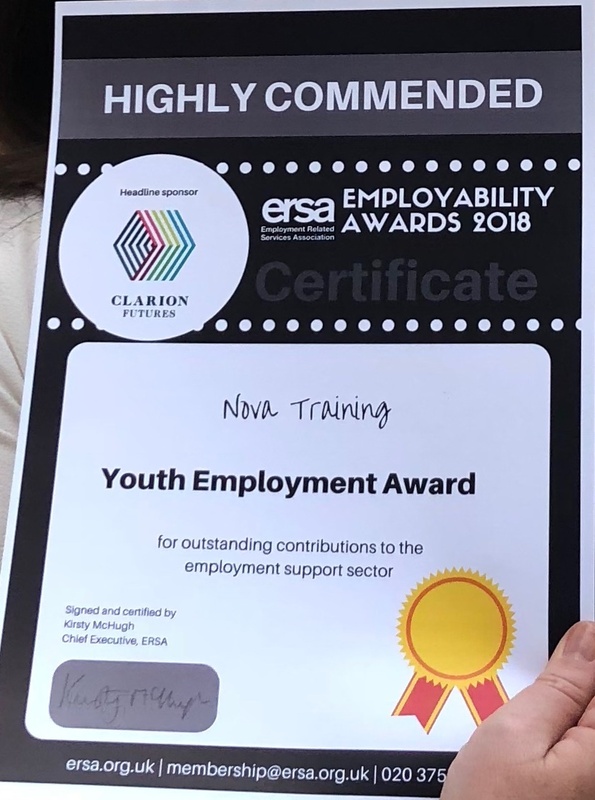 The award entries were judged by Ashwin Kumar, Chief Economist at Joseph Rowntree Foundation, Tabitha Jay, Director of the Work and Health Unit, Gill Holmes, Senior DWP official and last year's winner of the Adviser of the Year award, Adrian Bailey of Prisoners Abroad. What a lovely recognition for all of your outstanding efforts on behalf of our learners.